SwedelsonGottlieb annually updates and publishes its Disclosure and Notice Checklist as a resource for Managers and Board Members of California Community Associations. 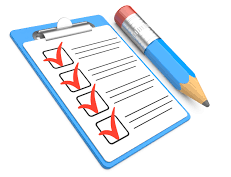 The updated Checklist is 14 pages (there are a lot of things that California community associations are required to give notice of or disclose) and sets out what disclosures and notices California community associations are to provide to homeowners, when and how they are to be provided, as well as other considerations. Included is information regarding the Code requirements for the Annual Budget Report, the Annual Policy Statement, Fiscal Year End Disclosures, and other Additional Disclosures/Notices. We have included information regarding the recent changes to Civil Code Section 4041 relating to the solicitation of owner mailing addresses, etc. and the required New Management Disclosures. Follow this link to download your copy of this important resource.